Lincolnshire Police may be in line for a funding boost after plans were announced to overhaul the current formula system used to decide how much forces across the country receive from central government. Ministers have said that they want to replace the “complex, opaque, and out-of-date” funding model which has been in place for nearly 10 years with a simplified version. A consultation will be held on proposals for the new system which would take into account an area’s population as well as its “underlying characteristics” and “environmental” factors – such as whether there is a busy town centre. The core government grant for police is set at £7.8bn for the current financial year. Money reserved for counter-terrorism will not be covered by the consultation as it is ring-fenced. 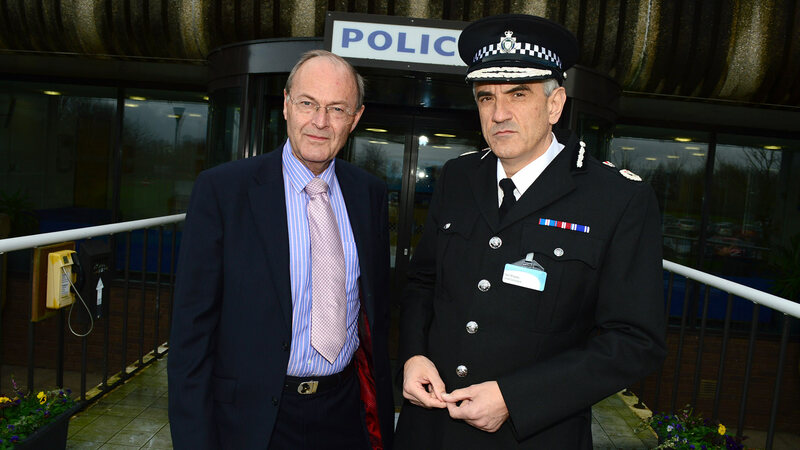 Earlier this year, the minister visited Lincolnshire Police HQ to hold discussions with senior officers on how to address the funding shortfall it faces in the next few years. The force faces a funding gap of about £7 million to balance the books by 2016-2017. Without additional funding, jobs could be lost, with officers, PCSOs and support staff all at risk. Police and Crime Commissioner Alan Hardwick and Chief Constable Neil Rhodes said: “We welcome today’s announcement by Policing Minister Mike Penning, giving details of plans to reform the system of allocating government funding to police forces. “Over recent months we have worked hard and constructively with Home Office officials to provide solutions to the challenge of police finance. The overall pot of money for policing is shrinking and it is more important than ever that funding is shared fairly. “We will be working carefully through government proposals to understand the implications for the police service in general and for Lincolnshire communities in particular. “The new, proposed formula is population based and would appear to take cognisance of both socio-economic and environmental factors that affect policing demand. “We recognise that, across the country, forces face different and sometimes complex policing challenges and have to manage different levels of threat, harm and risk. The new formula must cater adequately for those. “However, particularly for smaller forces, the acid test will be whether the base cost of being in business is covered. “Funding must be set at a level that sustains a decent quality of service to our communities and sensible transitional arrangement will be important.